Ten three-unit diesel-electric trains, designed before the war, were built in Hungary by Ganz motor- és vagongyár (Ganz engine and wagon factory) for Argentine Railways. Probably the class was inspired by German-built Chilean Flecha del Sur trains. 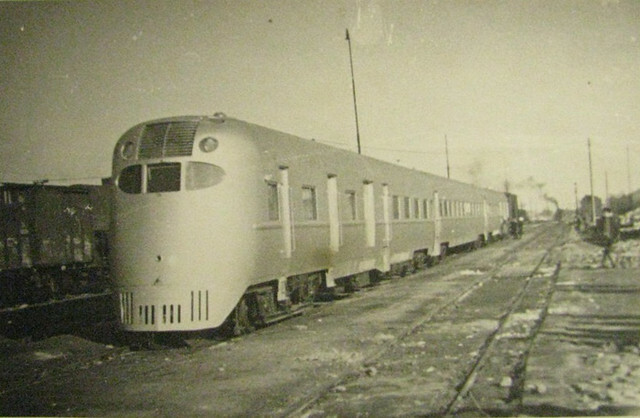 Anyway, none of the units reached South America - unfinished and undeliverable, these lovely streamliners waited till the end of the hostilities, and in 1946 were supplied to Soviet Railways (SZD) as a part of war reparations. 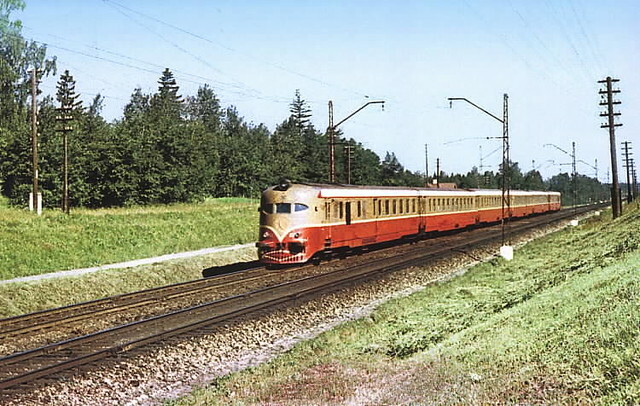 The trains, carrying 136 passengers (or 158, depending on car layout), were powered by a pair of Ganz-Jendrassik 6-cylinder 310 hp diesel engines. Their top speed was 120 km/h. 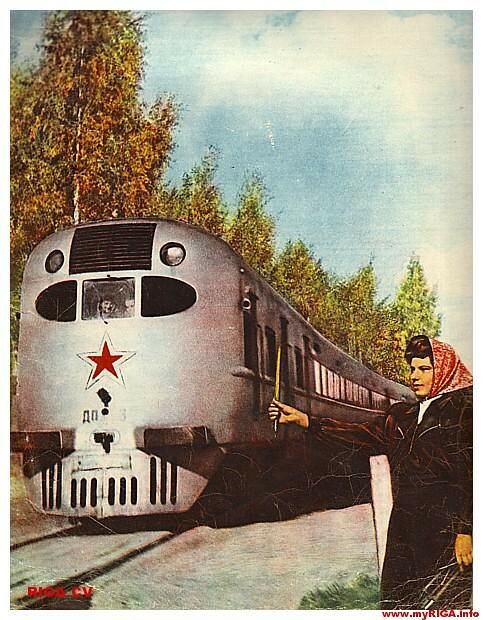 In Soviet service, they were used in different regions: Central Asia, North Caucasus and Baltic States. Designated DP-1 - DP-10, they were retired in late 1950s, spending their last years on Vilnius - Riga - Tallinn route. 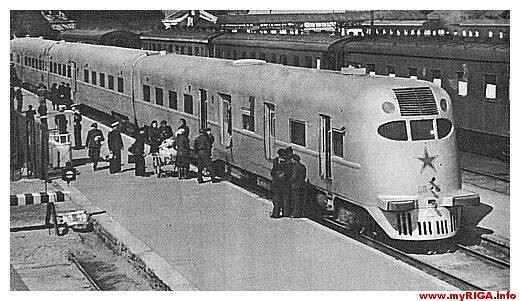 In 1950, a new improved class of streamlined night trains, also built by Ganz Works, was delivered to SZD. Designated DP-01 - DP-08, these DMUs consisted of six units. Each train was powered by two V-12 600 hp Diesels. Top speed was limited to 105 km/h. 164 passengers traveled in compartments. 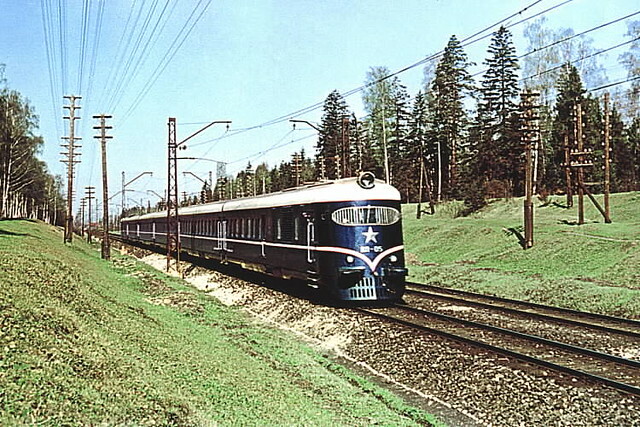 Initially used on Moscow - Leningrad route, where one of them showed a remarkable average speed of 93 km/h, these night streamliners were subsequently relegated to Vilnius - Riga - Tallinn route. All were retired in 1961.